Even Hyundai says the outgoing Santa Fe family looked and felt more like a minivan than an SUV. From their clean, understated styling to how they drove and felt from behind the steering wheel, the 5-passenger Santa Fe Sport and 7-passenger Santa Fe simply weren’t rugged enough to appeal to SUV buyers. But the automaker aims to change that with a 2-pronged replacement strategy. 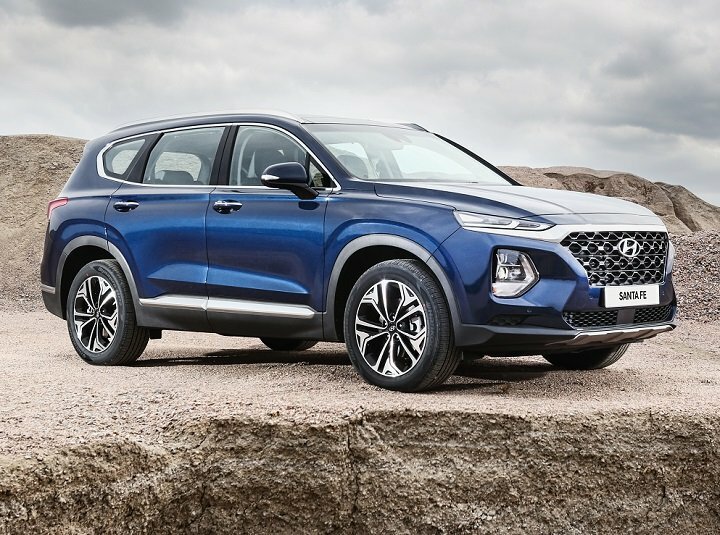 First, the redesigned 5-passenger 2019 Hyundai Santa Fe succeeds the old Santa Fe Sport. Confused? Don’t worry. It’s temporary. What you need to know is that, based on a day spent driving the redesigned Santa Fe in Utah’s Wasatch Mountains south and east of Park City, Hyundai’s new 5-passenger crossover SUV won’t be mistaken for a minivan. Hyundai calls the new Santa Fe a compact SUV, but in terms of its exterior dimensions and interior passenger space, it is a midsize model. Cargo space measurements do, however, align with larger compacts like the Honda CR-V and Toyota RAV4. 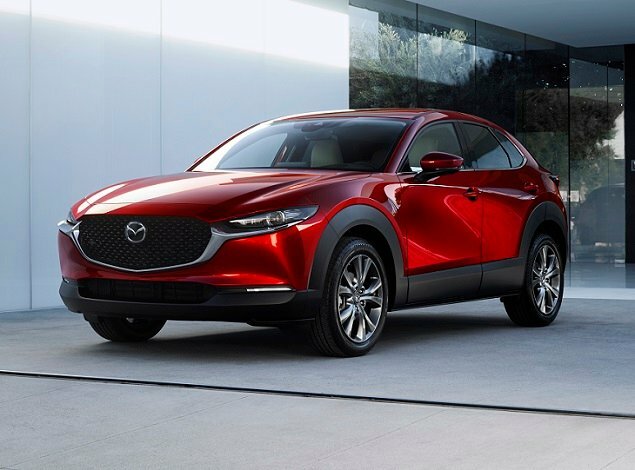 Exterior styling delivers a more rugged appearance, from a chain-metal grille pattern and simulated front and rear skid plates to more prominent dark gray body cladding and bolder fenders. A taller and flatter hood, larger windows, and added folds and creases clearly convey that the new Santa Fe is an SUV. Inside, the dashboard adopts a wide, horizontal orientation that appears to ‘float’ ahead of the driver and front passenger, ridding the Santa Fe of its previous tall and narrow feeling from behind the steering wheel. Now, Hyundai’s popular crossover delivers a sensation of wide, broad, airy spaciousness. Themed interior décor treatments aim to add a custom, upscale look. Hyundai may have gone too far with the headliner, though, which, like shag carpeting from the 1970s, might not age well. In my Santa Fe Ultimate test vehicle, which had a Beige interior, it resembled a blended and frothy frozen coffee drink with bits of chocolate chips in it. Comfort levels are high, thanks to available 8-way power adjustable front seats with heating and ventilation, a heated steering wheel, heated rear seats, and a dual-zone automatic climate control system with rear air conditioning vents. Rear passengers benefit from cross-your-legs levels of room on a sliding and reclining bench seat. Cargo space measures 35.9 cubic feet behind the rear seat, and there is a storage area underneath the floor. Fold the 60/40-split rear seat down to access 71.3 cu.-ft. of storage space. Hyundai will not offer factory-installed options for the new Santa Fe. Instead, buyers will choose between SE, SEL, SEL Plus, Limited, and Ultimate trim levels, each of which can be fitted with extras from a dealer-installed accessories catalog. All five versions can be upgraded with all-wheel drive, while turbocharged power is available only with Limited and Ultimate trim. Prices start at $26,480 (including $980 for destination charges). My test vehicle was the Santa Fe Ultimate with AWD, a turbocharged engine, and dealer-installed floor mats. It came to $39,905. Key highlights of the new Santa Fe include its impressive warranty and roadside assistance programs, the automaker’s unique Shopper Assurance customer service program (which includes a 3-day exchange policy), and three free years of Blue Link subscription services complete with smartwatch and home voice assistant integration. Additionally, key differentiators for the 2019 Santa Fe include its standard Smart Sense package of driver assistance and collision avoidance systems, new Rear Occupant Alert technology, and a hands-free power liftgate that does not require a one-foot dance to open and which can be programmed to rise faster than is otherwise typical. My loaded Santa Fe Ultimate test vehicle had everything Hyundai offers for its new SUV, but the interior layout simplified the complexity. Traditional buttons and knobs make it easy to adjust commonly used features, and the robust driver information display’s steering wheel controls provide quick access to various vehicle settings. It is easy to get into a Santa Fe, find and use what you need, and get on the road. Smart Sense is standard on every 2019 Santa Fe, and it includes a lengthy list of driver assistance and collision avoidance systems. 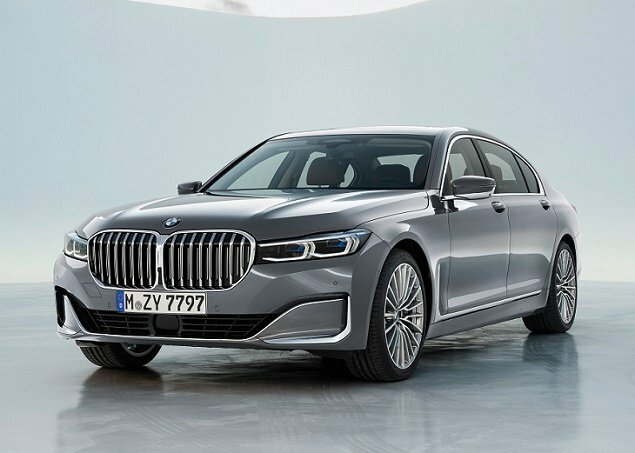 They include adaptive cruise control with stop-and-go capability, forward collision warning with pedestrian detection, automatic emergency braking, lane departure warning with lane keeping assist, a blind spot monitoring system with lane departure prevention, and rear cross-traffic alert. During testing on north-central Utah’s highways and byways, they performed their tasks with accuracy and refinement. Additionally, Smart Sense equips the Santa Fe with a driver monitoring system that can detect a drowsy, distracted, or otherwise incapacitated driver. A Safe Exit Assist system prevents occupants from accidentally opening a side door when traffic is approaching from behind, which is especially useful in parallel parking situations. New Rear Occupant Alert technology is included in all but the SE and SEL trim levels. It installs motion-detecting sensors that monitor for activity in the back seat. When the driver parks and leaves the Santa Fe, a warning will alert him or her to a child or pet that might be in the back seat. If the driver ignores that warning, the sensors work for 24 hours to detect motion, repeatedly activating the Santa Fe’s lights and horn while sending the owner text-message and Blue Link smartphone app warnings to check the SUV’s back seat. Additionally, with the free 3-year subscription to Blue Link, every Santa Fe (except base SE trim) includes automatic collision notification, SOS emergency assistance, and programmable speed, curfew, and geographic boundary alerts, which are particularly useful to parents of teen drivers. Switching now to the Santa Fe’s infotainment system, it sits atop the dashboard resembling and working similar to a tablet computer, but with useful shortcut buttons and both power/volume and tuning knobs. It includes Apple CarPlay and Android Auto with all trim levels, and is upgraded with Blue Link and satellite radio with SEL trim. The Santa Fe Ultimate adds an 8-inch display, navigation, a 360-degree surround-view monitor, and Qi-compatible wireless device charging. Ultimate trim also adds a 12-speaker Infinity surround sound system, complete with Clari-Fi music restoration technology. Based on brief testing using a variety of music styles, the audio system delivers rich, deep, satisfying sound quality for this price point. A head-up display is also standard with Ultimate trim, but is completely invisible if you’re wearing polarized sunglasses. Two engines are offered for the Santa Fe, each featuring a standard automatic stop/start system to help conserve fuel. The standard power plant is a 185-horsepower 2.4-liter 4-cylinder, while Limited and Ultimate trim can be upgraded with a turbocharged, 235-hp 2.0-liter 4-cylinder. Both are teamed with an 8-speed automatic transmission, and front-wheel or all-wheel drive. All but the SE trim includes Comfort, Smart, and Sport driving modes. My Ultimate test vehicle had the turbocharged engine and Hyundai’s HTRAC AWD system, which can put up to half of the engine’s power to the rear wheels and, using brake-based torque vectoring, can distribute power between the wheels on each axle in order to maximize traction. A 50:50 Lock mode is designed for tough off-road situations, but since the Santa Fe supplies just 7.2 inches of ground clearance you won’t wish to stray far from the beaten path. Driven at a significant 9,000 feet of elevation, the Santa Fe Ultimate’s turbocharged drivetrain displayed a couple of unbecoming characteristics. First, there was momentary but palpable lag before all 260 lb.-ft. of torque arrived at a low 1,450 rpm. Second, no matter the driving mode, the 8-speed automatic regularly displayed delayed downshifts when I wanted maximum passing power. Whether these traits would be as noticeable at lower elevation where most people live remains to be seen. In any case, the Santa Fe delivered reasonably satisfying performance even in the thinner atmosphere, especially when driven at part-throttle in normal situations. Moreover, it averaged 21.2 mpg, coming in just shy of the official EPA rating of 22 mpg in combined driving. What I noticed most about the Santa Fe driving experience is how solid and secure the SUV feels. Certainly, a claimed 15.4% improvement in structural rigidity is responsible for this sensation, but no doubt the Santa Fe’s improved steering and suspension designs and tuning contribute. The SUV is also remarkably quiet inside, the intended result of multiple efforts to reduce noise, vibration, and harshness. The ride quality is firm and communicative, but not uncomfortably so. 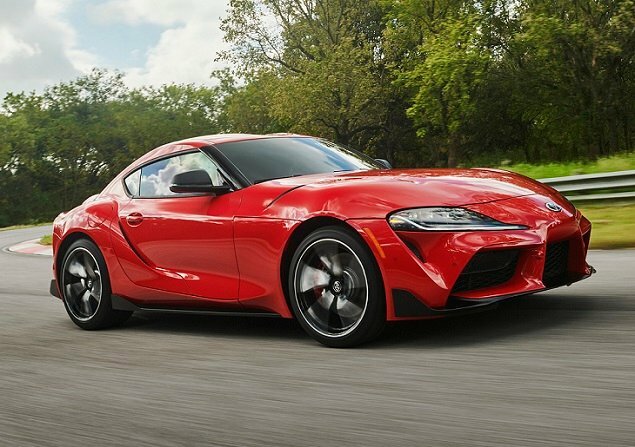 Handling impresses, but doesn’t inspire enthusiast drivers to push limits on pavement. Off-roading capabilities are more impressive than you might guess, but you’re still going to want to exercise care and caution. Given the target customer and competitive set, which includes 5-passenger crossovers ranging from the new Chevy Blazer to the legendary Subaru Outback, the new 2019 Hyundai Santa Fe is a compelling choice in its segment. Better yet, with this complete redesign, nobody will liken it to a minivan.